I love tomato soup, especially when it’s homemade and paired with a delicious grilled cheese sandwich! You could easily make a double batch and freeze the extra for rainy-day emergencies. 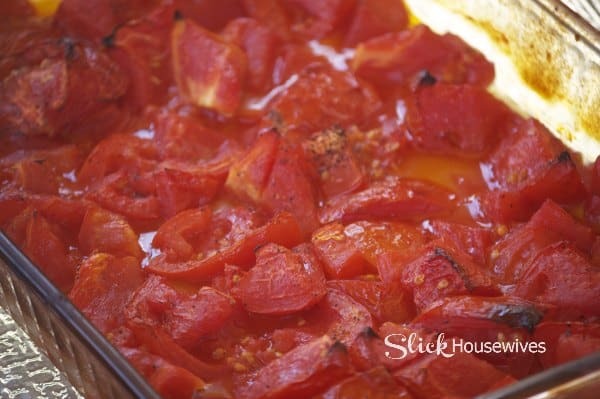 This tomato soup is easy to make and uses fresh tomatoes. It doesn’t use milk but it’s still very creamy! It’s gluten-free, dairy-free, egg-free and low carb. 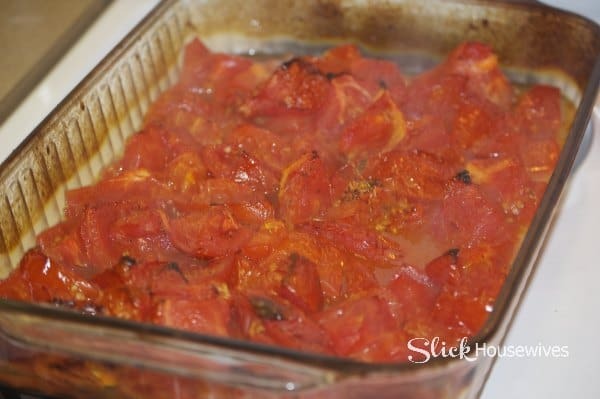 I hope you enjoy this homemade roasted tomato soup recipe and make sure to share your favorite way to make tomato soup with us below! 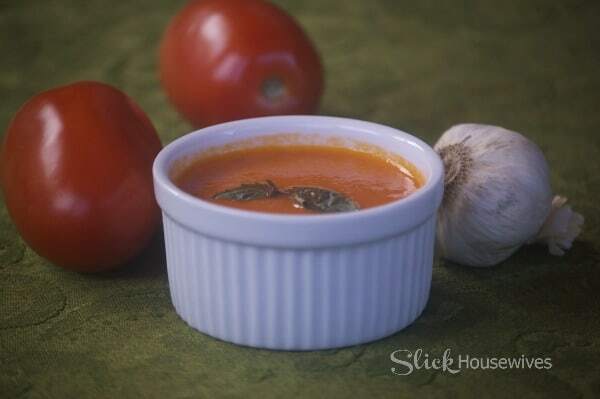 If you would like a printable version of this Homemade Tomato Soup, just scroll all the way down! 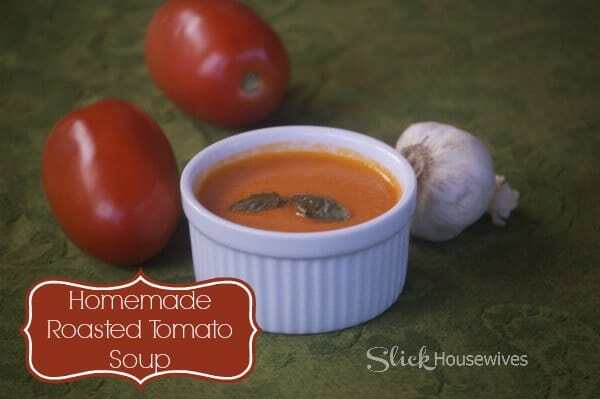 If you like Easy Homemade Tomato Soup Recipe, Make sure you check out how to make delicious homemade soups without recipes! It’s the perfect comfort food! I LOVE my Vita-Mix! It is the best investment I have EVER made!!! Roast in the oven at 450 on the middle rack for about 45 minutes, stirring occasionally. Some tomatoes may get browned and will become very juicy as you can see in my picture. 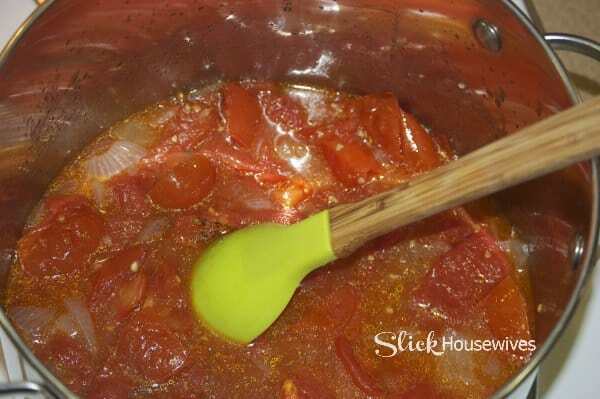 While your tomatoes are roasting in the oven, In a large pot over medium heat, Saute onions in 2T coconut oil. Cook about 5 minutes until soft and translucent. Add honey and a pinch of crushed red pepper, cook 1 minute, then add the 2 cup of water and simmer over med/low. Add in the roasted tomato-garlic mixture and simmer for 10 minutes. Carefully blend your soup in small batches. I used my vitamix and had no small pieces left. If you do then you can use a mesh strainer. 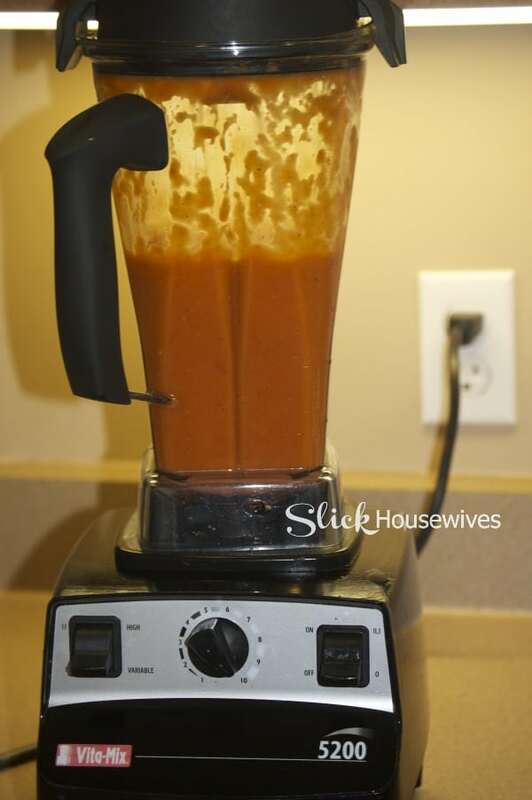 Simmer blended soup for 10 minutes, add additional honey, sea salt, pepper and crushed red pepper to taste. Canning Instructions: You can make extra batches and put in freezer safe containers or you can put away extra batches of the tomato soup by canning it. Fill hot, sterilized canning jars with hot soup. Fit with 2 part lids. Process Pints for 40 minutes at 10 pounds pressure, Quarts 1 hour at 10 pounds pressure. 4T + 2T Coconut Oil I like to use this kind.